Guyra sprinter Victory Vibes is racing in the best form of his career and trainer Terry Vidler hopes a major pull in the weights will enable the five-year-old to complete a winning hat-trick when he heads to Coffs Harbour on Tuesday. Vidler, who trains just two horses at Guyra, about 60kms south of Glen Innes, expects Victory Vibes ($4.80 ion TAB fixed odds) to be very competitive in the Clare Park Thoroughbreds Open Handicap (1000m) on the 54kg limit. 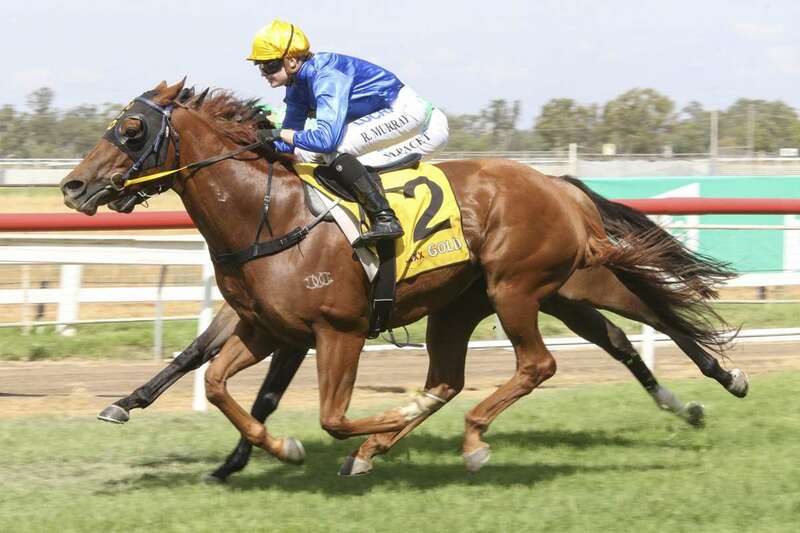 The gelding is coming off a win at Armidale on March 3 in a Benchmark 58 Hcp (1100m) with 60kg and a last-start victory at Moree on March 14 in Benchmark 66 Hcp (950m) carrying 58kg. "He's going great at the moment and has done really well since his last win at Moree," said Vidler. "This prep has been his best - he seems to have gotten stronger the further he's gone into his prep. I think he's just improved with maturity and he eats a lot more now. "He's up against some handy ones on Tuesday, but the topweight (Raiden, $3.40 favourite) has to give him 7.5kg - which is a fair bit of weight - and he's also drawn out a little awkwardly (in barrier eight)." Vidler said the plan would be to lead if possible, but Victory Vibes, who drew ideally in gate three, could also take a sit off the pace if need be. "He's fairly adaptable. Looking at the speed maps they have Gunnaza ($21) leading with Stirling Osland's filly (Rock The World, $9) sitting second and my horse settling third but we'll see what happens," he said. Non-claiming apprentice Mikayla Weir takes the ride on Victory Vibes on Tuesday, taking over from the gelding's regular rider Rachael Murray who has ridden him at his past eight starts. "Rachel's away - that's the only reason she's not riding him this time," said Vidler. Victory Vibes has certainly been a good buy for Vidler who purchased the son of Floral Pegasus from Victoria when he was trained by Chris Hyland. He had six unplaced runs in Victoria before Vidler picked him up in early 2017. He's won five of 26 starts for Vidler with another five minor placings and has so far won just under $72,000 in prizemoney. "Chris Hyland had him in Victoria and I think they thought a bit of him earlier on as he made his debut in a $100,000 at Cranbourne (the 2016 Inglis Gold Plate behind If Not Now When). I got him fairly cheap and he's certainly been great to us," said Vidler. Newcastle gallopr Raiden, despite his big weight of 61.5kg, and Grafton sprinter Dominant Crown ($4.80) look definite threats in Tuesday's 1000m race. The Wayne Lawson-trained Dominant Crown scored an easy first-up win at Grafton three starts back on January 27, downing Hydrazine by 2.6 lengths before finishing seventh to Capital Connection in a 1000m No-Metro-Win Hcp at Eagle Farm on February 23 and a last-start eighth, beaten 2.5 lengths, behind Allround Glory in another 1000m NMW on a heavy 9 at the Gold Coast on March 16. Dominant Crown looks well placed at the weights on Tuesday. He was in receipt of 4kg when he downed Hydrazine ($8.50) three runs back and has a 4.5kg pull in the weights on Tuesday. The Kris Lees-trained Raiden has been racing pretty well on metropolitan tracks of late, and is coming off three solid runs in Brisbane, the latest when a close fourth to Crusher in a Class 6 over 1000m at Eagle Farm on March 9. The Stirling Osland-trained Rock The World disappointed in the Armidale Newmarket (1100m) last time out on March 3, but her previous run over 1000m at Grafton produced an impressive victory over General Nelson. General Nelson had won his two previous starts prior to that defeat and then bounced back to win again at Ballina after his loss to Rock The World. Leading local trainer Brett Bellamy has posted winning doubles at the past three Coffs Harbour meetings and could play another strong hand at Tuesday's meeting with up to 11 runners. Heading Bellamy's team at Coffs Harbour are the in-form pair Boncosta ($6) and Star Fest ($8.50), who line up together in the Clarendon Lodge Benchmark 66 (1600m), and who both boast excellent records over the track and distance.